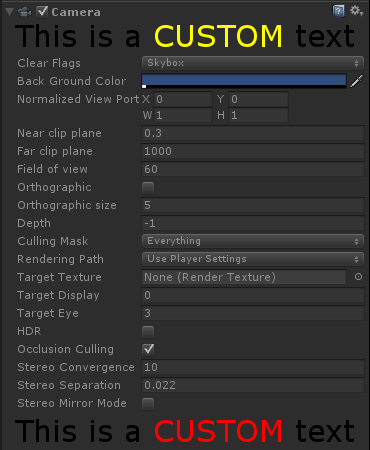 One of the most interesting feature of Unity is the ability to extend its editor and standard components. This has allowed developers all around the world to create amazing extensions which dramatically improve Unity’s usability. And, in some cases, compensate for its shortages. A very intriguing feature which is not-so-well known is the ability to customise the messages in the debug console. 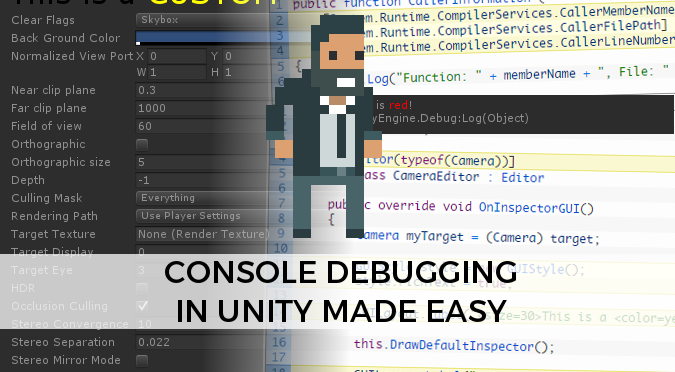 Rather than give you a self proclaimed ultimate solution to console debugging, this post will cover different topics to help you creating your own. Adding the <color=red> tag does the trick. Unity supports <i> for italic, <b> for bold and <size> to change the pixel size. We will see later how to improve Debug even further. For a full list of the supported colours, you can check this page. Something which bothers me deeply is the way the Debug.Log function has to be fed. There are two main problems here: (1) Debug.Log takes a single string and (2) its console output is quite chunky and doesn’t really allow for multi-lines. Let’s see what we can do about these things. Pimp my Debug.Log: an interesting set of method extensions for the string class, perfect for Debug.Log. Errrr…. typo… they add it to Unity 5 not 4. Thanks for mentioning my blog (Pimp my debug log). This is mostly a compiler feature AFAIK (apart from the attributes). You can probably achieve this yourself, but you’ll have to compile your code outside of Unity (e.g: through Visual Studio). One thing I found useful if you want to add the calling method name to your debug statement is to use the System.Reflection library and use MethodBase.GetCurrentMethod() to get the calling method name. Not sure on the performance difference here though vs the Diagnostic class.